I LOVE Christmas caroling! In fact, while I was in high school some friends and I started our own tradition of late night caroling. We used to get together at my friend Annie’s house for a sleep over to celebrate her December birthday. It was perfect timing for caroling! We waited for her mom to fall asleep so we could sneak out and attempt to annoy the neighbors by knocking on their doors after curfew and singing carols. Turns out the neighbors weren’t annoyed at all! They loved it! So, we sneaked out again the next year! (We were SUCH rebels!). This weekend my family and I joined local friends at a nursing home for a Christmas carol sing along. My friend Erica has arranged this wonderful event for years now. She makes sure to include everyone from age 0-100! This year was my first time attending and it was a lot of fun! Some of the residents truly enjoyed seeing the little children. My girls were able to chat with one resident who misses her grandchildren. She helped my girls feed the fish in the small fountain and enjoyed listening to all their stories. It was so heartwarming to see the interaction! How can you help? Contact a nursing home or senior residence near you and ask if they already have carolers coming. If they do not, ask if you can bring your friends and family with little kids to spend some time caroling for the residents. 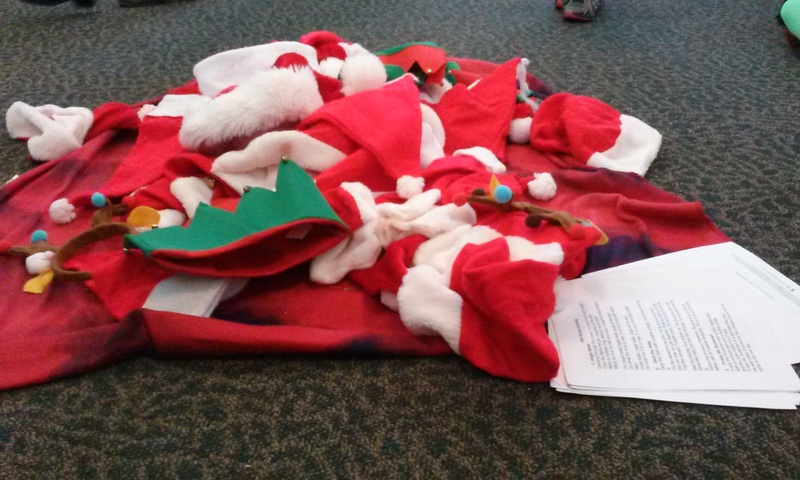 You can carol through the halls from room to room in true caroler fashion, or assemble in the activity room. If you are affiliated with a scout troop invite them along. The more the Merrier! If there is time you can assemble some cards, or holiday crafts to bring along for the residents (or even the staff) to enjoy. Erica and her family brought along a stash of festive hats and head bands and some simple instruments for kids could use. There were jingle bells, tambourines and plenty of shakers. She also brought along song books for carolers to hold and prompted us along while singing. Be sure to bring along festive hats and song books for carolers. There is so much learning that transpires when different generations mingle. Teaching our kids to extend the holiday spirit to seniors who are missing their families is a great way to help foster compassion and empathy. 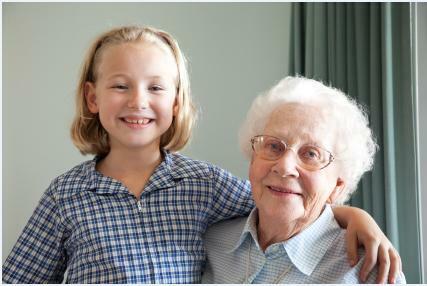 Most importantly, showing our kids how to treat our elders is modeling for them how we would like to be treated one day. Awwww, how sweet. We used to do the same thing when my kids were little and I was in the MOMS club in town. The old folks LOVED seeing the kids. This is perfect timing, our kids are joining a caroling group at church tonight and are SO excited! They’re visiting an assisted living facility, the neighborhood around the church, and a few specific senior citizen’s homes. This is precious! I’m embarrassed to say I have never been caroling. I would love to, though! My mom took my siblings and I to visit nursing homes when we were younger. I have some wonderful memories of those times. How beautiful, I agree giving something back to the community costs nothing and to see their faces light up with happiness is beyond price. Say yes to community. I love this. My daughter belongs to a group at school that visits different communities/facilities around town that cater to the elderly where they will visit with them & sing. I know they enjoy it so much. I’ve loved following along with this series. 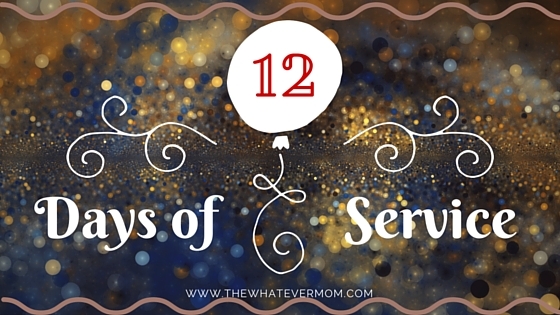 You’ve given me so many great ideas for how to share love and service with others. My oldest is just slightly too young to sing carols but this is a great idea for next year! Thanks for following along!! 🙂 Feel free to tuck away any of these ideas for another time. Believe it or not I have never been Christmas caroling before! I should look into doing this with my daughter. It would be so fun! I have never been caroling before, and I don’t think I’ve ever witnessed caroling in real life. That must be such a heart-warming feeling to bring cheer to a nursing home in this manner. I have done caroling when I was still young. I think I should do this again with the kids. It will be fun. Oh how sweet. I’ve never actually gone caroling. I’ve seen carolers but never been a caroler. That is so cool and I wish all neighborhoods did this.